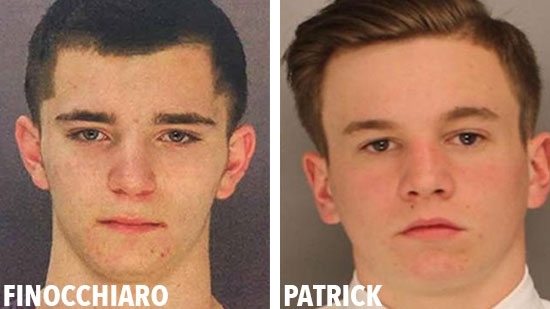 Police in Bucks County are looking for several missing teenagers. Middletown Township authorities say that 18-year-old Dean Finocchiaro of the Hampton Bridge section of Langhorne has been missing since Friday, July 7th at about 6:30pm. He was last seen getting into a vehicle on Hampton Drive. Dean is 5' 9", 150 pounds, with brown hair and hazel eyes. The Newtown Township Police Department is searching for Jimi Tar Patrick. He is described as being in his late teens. Patrick has not been seen or heard from since around 6:00 p.m. on Wednesday, July 5, 2017. He is 5' 10" and 150 pounds. Philadelphia Police are investigating after the discovery of the brutal murder of a man in the city's Bridesburg neighborhood early on Saturday morning. Police responded to the 2900 block of East Orthodox Street around 5:15 a.m. to the lot in front of the Quickway Transfer Station. Workers had heard gunshots around 3:45 a.m. About an hour later a worker saw flames in the front lot and used a fire extinguisher to put out the flames. He discovered the burned body of a man and called 911. The victim had his arms cut off and was shot several times. Police say the body was burned beyond recognition and has not yet been identified. Anyone with information is asked to call police. Philadelphia 76ers No. 1 overall pick in this year's draft was helped off the court during last night's Summer League game in Las Vegas against the NBA Champion Golden State Warriors. If you were watching the ESPN game broadcast, it was a gut wrenching sight that has been on repeat for the Sixers for the better part of this decade and throughout The Process. Just as the squad is perhaps poised to return to winning basketball games, our brand new star goes down before real play starts. Nerlens Noel, Joel Embiid, Ben Simmons, and Joel Okafor all missed significant time due to injury. Fortunately, after X-rays which were negative, the team says that Markelle Fultz will only miss 1-2 weeks including the remainder of Summer League. As head coach Brett Brown told ESPN announcers during the scheduled interview during Saturday night's game (that coincidentally happened immediately after the injury), we are all "a little punch drunk from the injuries."